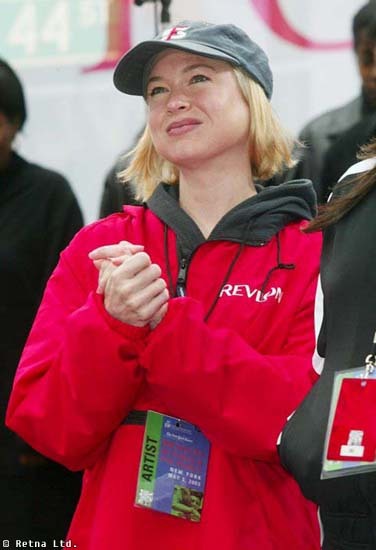 Seeing how it is Fat Tuesday we felt compelled to divulge the sad fate of Renee Zellweger. In the first photograph we see Renee attending a Mennonite quilting auction near Lititz, Pennsylvania just a few hours after a tragic bee sting. Notice how her face is a bit puffy but still recognizable. The second photo was taken this morning while Ms. Z was attending a Mardi Gras parade in the Big Easy. Medical experts agree that this unfortunate encounter with an American Worker Bee will ensure that all of Ms. Zellweger's future acting performances will continue to be egregiously emotionless. An aside: Out of our sincere respect for Renee's tragic condition we have downsized today's Mardi Gras photo to minimize the visual horror. Far be it for NEEDTOVENT to eschew a modicum of compassion. It's so sad that the lemon sucking she's been doing hasn't proven to be the bee sting antidote that she thought it would be. And are those arms or unwrapped tubes of raw Pillsbury sugar cookie dough? Naaaaaw, can't be that. Pillsbury's dough isn't that doughy.